Even though this Cinderella wall mural was painted in Mississauga, Ontario, I also sell princess wallpaper murals that ship for FREE in Canada and the USA. They are super easy to hang and are removable when your little princess is ready to redecorate. 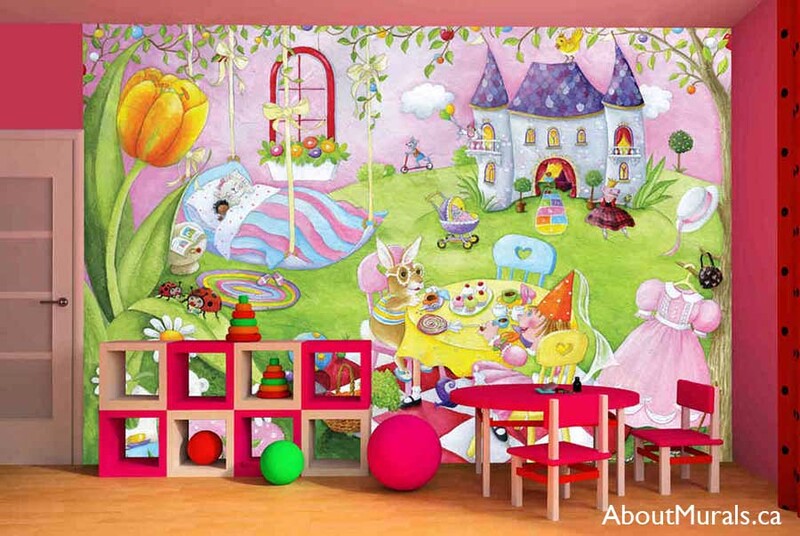 Are you thinking of adding a Cinderella wall mural to your kids bedroom? Here are some photos of a mural I painted to give you some ideas for your own space. Mia’s bedroom walls were all yellow, so before I came to paint her Cinderella wall mural, her parents painted a purple feature wall over her bed. If you’re not the DIY type, I also offer latex painting services. For my murals and walls, I only use non-toxic, no-VOC paints so it’s safe for your kids to play and sleep in their bedroom – even on the night I finish painting. Mia loves all things princess. 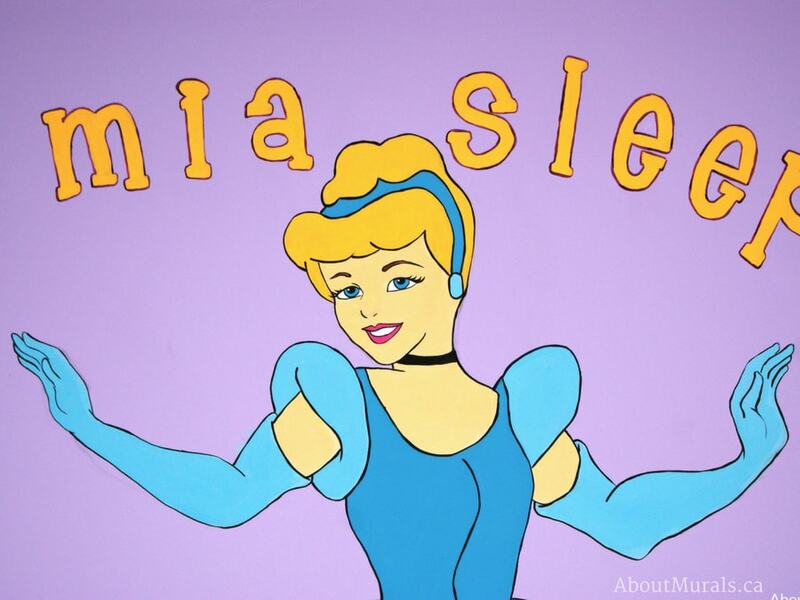 Cinderella is her fave, so they had me paint her twirling over Mia’s bed. One great thing about a hand-painted mural is that it can be personalized. 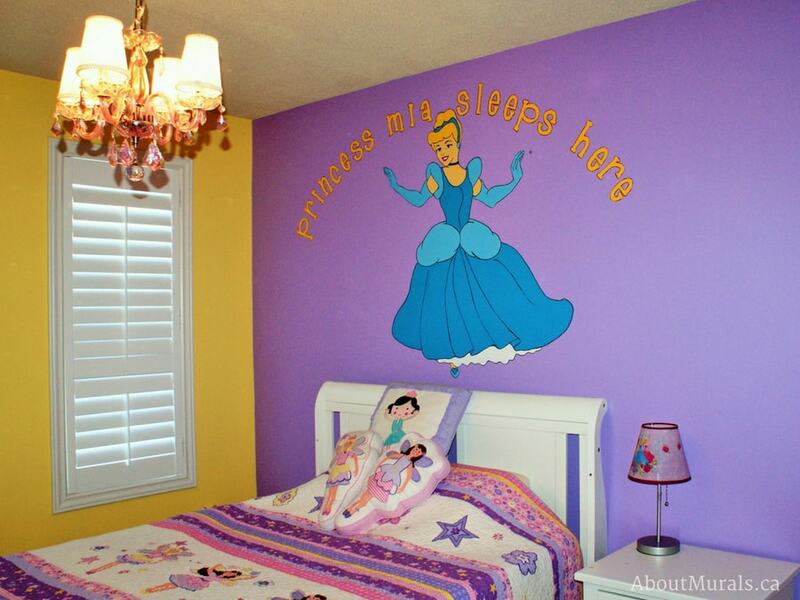 Her parents had me paint, “Princess Mia Sleeps Here”. 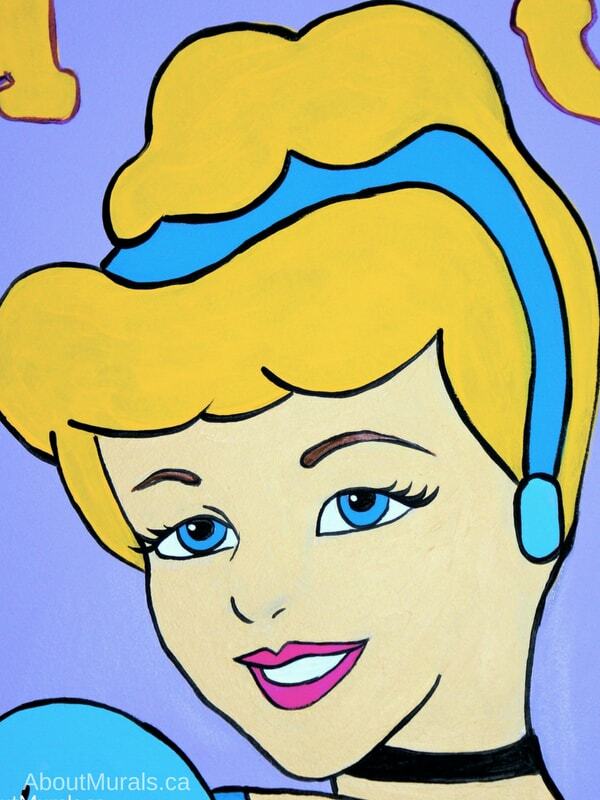 Still thinking of a Cinderella wall mural for your little princess? Let’s work together! Or Check Out My Princess Wallpaper Murals! Join my newsletter community and I’ll send you all the latest promotions and maybe even a hot coupon code!